Hot damn, I am burning through the pages right now! I can't seem to put a good book down (and I'm getting really good at speed reading through the bad ones)! Here's a run down of the latest covers I've closed. Man has spliced, modified and mutilated life as we know it. With hybrid breeds, robotic bees and this weird second skin that makes you look, well, however you damn well please. We've destroyed the planet and now, there seems to be only two people left. Gods Gardeners, a sort of is-isn't religion who focus their efforts on simple living and preserving plant and animal life, long predicted this armageddon and here it is, no point shaving your mo'hairs, nobodies needs extensions anymore! This has to be one Atwoods most inventive works. The world she created between the pages is not too dissimilar to the world ours is becoming. And I found it pretty funny that when the end of the world did come, the vegans and the genetically modified pigs were the clear winners! A film crew are off in search of the mysterious Arcadia, a tight-knit group, their carrying around more than their hand-luggage on this trip. They all come with emotional baggage and after arriving in a picture postcard little Swiss village, some unusual interactions and encounters help them to unpack and deal with said baggage. Hands down, this book is beautiful. The prose is beyond quotable and each page could be read as a standalone piece of poetry. That being said, the narrative is difficult to follow if you're used to something more traditional. I know I had to read a few pages twice to make sure I was grasping what was going on! Who doesn't go on a big decluttering mission pre and post Christmas? There's something about January that just makes me want to clean and get somewhat organised for the year ahead. If you're looking for a jumping off point and an incentive to get your house in order, this book will do just that. I did find it a tedious task at times to read however. I feel like Marie lives in another time zone where she has this infinite amount of minutes to empty her bag and purse every evening, putting each individual thing in a separate place, then calmly collecting and repacking them 12 hours later. I don't have kids and even I don't have time for that! I did take away some tips, but I wouldn't say it was life changing in anyway. OH! OH! Be still my little literature heart! The Mr bought me His Dark Materials trilogy for Christmas and I jumped right into the first, Northern Lights. Kids are going missing, nobody knows where they're being taken or why. And what does this have to do with Lyra? With her imprisoned uncle and her less than maternal mother? What is dust and why on earth is that dying boy clinging to a dried out fish? Oh, and there's talking bears, daemons, witches, zeppelins and just pure adventure on every single page. Someone told me they love this series more than Harry Potter and honestly, as much as I love Harry, I can totally see why. I can't wait to get into the next one! Meh. I really wanted to like this one. I did. It seemed very Cecilia Ahern in it's nature but nobody can spin whimsy and magic into reality like Ahern can. On The Other Side follows Evie, she's just died and she wants to get into heaven. But to do that she must deal with her unfinished business, it's weighing her soul down and preventing her from eternal happiness. It was an easy enough read, predictable and some cute moments but the ending flat out put the last nail in the coffin. URGH, it annoys me just thinking about it! 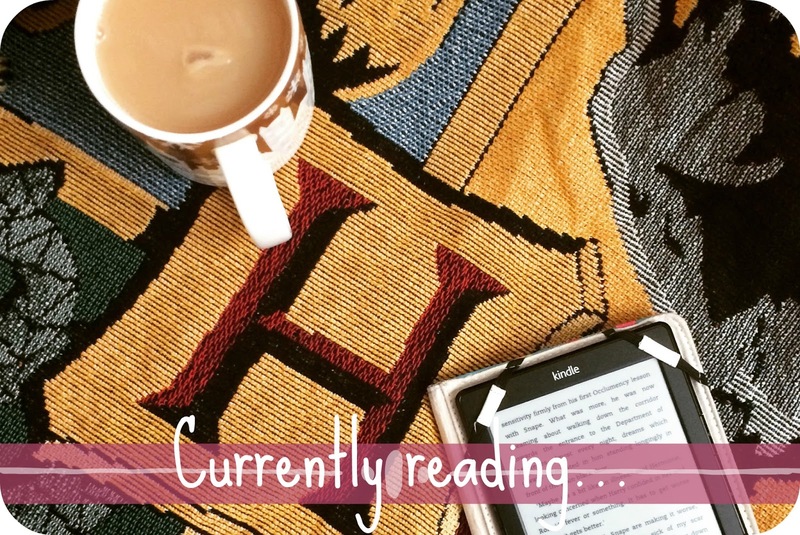 What have you been reading recently? If you're really not enjoying a book do you solider on until the last page or call it quits and move on? You've made me want to read Northen Lights now. Maybe one for my holiday! Some really good book choices!